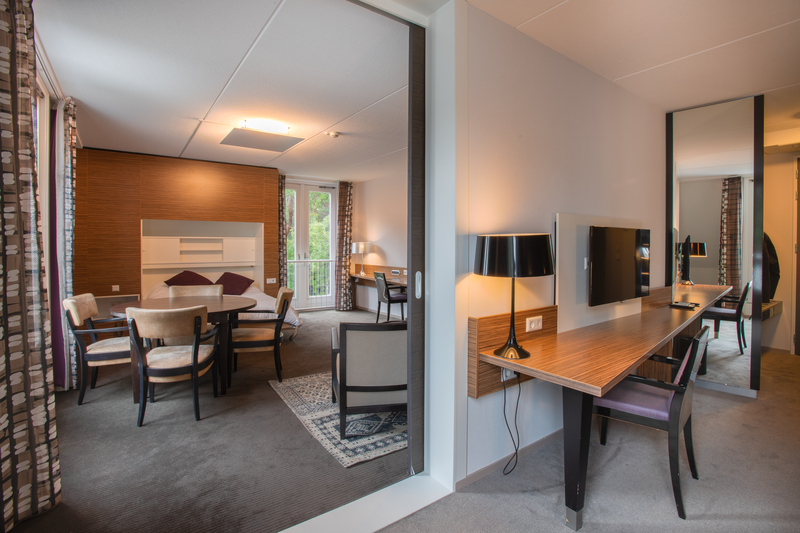 Woudschoten Hotel & Conference Venue in Zeist is ideally suited for overnight stays; both for a short business stay or a private stay. In addition to 140 comfortable hotel rooms, the hotel offers an extensive breakfast buffet, an attractive lounge and many drinks and dinner options. Business, spacious hotel room that offers many extras, such as a large work area, lovely rain shower, a mini fridge and a Nespresso machine. From the (French) balcony you overlook the wooded area. 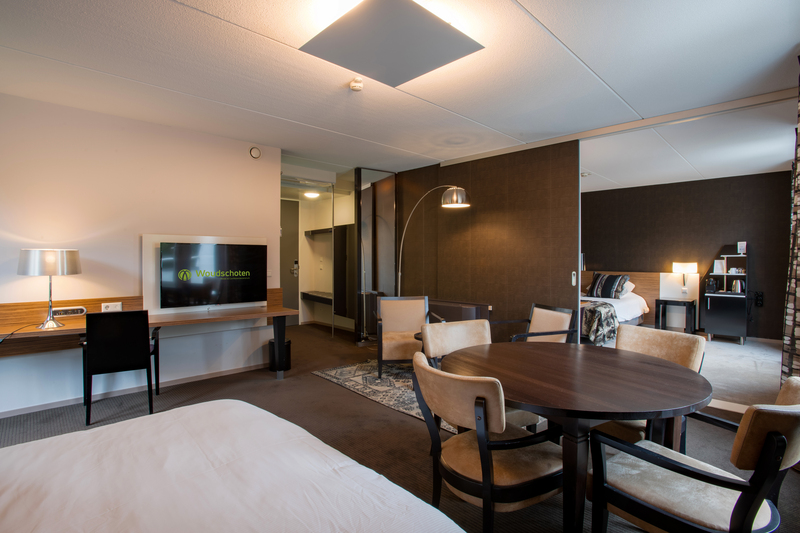 The hotel room is quiet; so you can fully enjoy your night’s rest.